The decades-old system on which Georgia relies to select ambulance providers has become a corrupt swamp of back room dealers who enrich the well-connected at the expense of tax dollar stewardship and patient care. 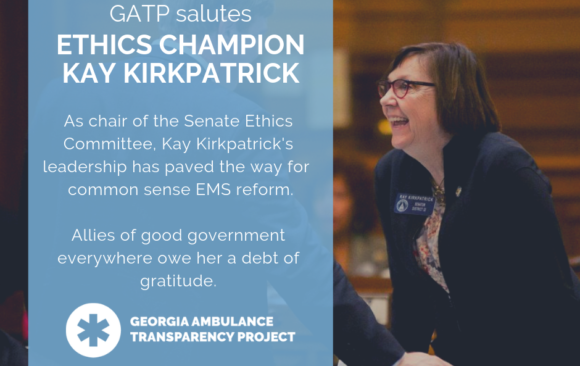 The Georgia Ambulance Transparency Project is fighting for your family and the taxpayer. Georgia deserves world-class public health. Help us make it happen. Bureaucrats and politicians are lining the pockets of their friends. Tax dollars are being misused and patients are being provided with substandard care. But together we can fight for better. 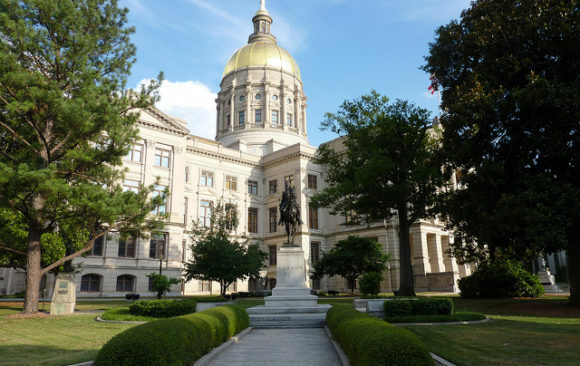 Georgia patients and taxpayers deserve better. 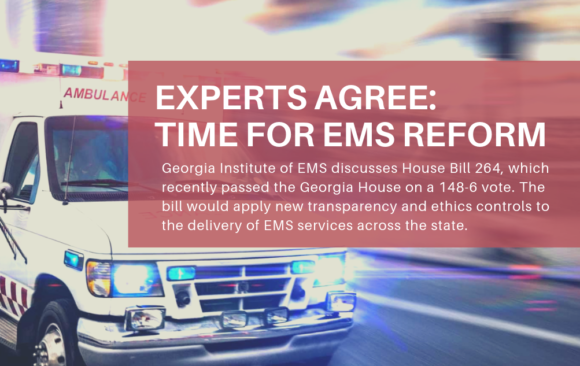 Did you know Georgia does not require its ambulance service providers to meet national safety standards and technology thresholds? And as a result, decades-old ambulances are still in operation. The frail oversight of Georgia’s ambulance industry exercised by the state’s understaffed Department of Public Health has permitted rank cronyism to take root, leaving patients without access to adequate services while making rich a handful of corrupt, well-connected service providers.